Drupal 8 is the first version of Drupal to support minor releases, which is a great thing. It means that updates to core Drupal will be added on a regular basis, which could impact your viewing experience. Here we talk about how we're going to tackle updates to Drupal over the next few years. In this series, we're going to be using Drupal 8. Over time, new minor versions of Drupal will be released. 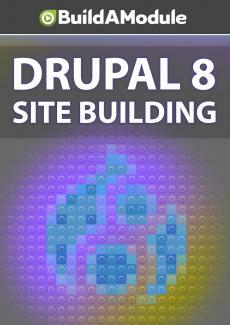 As I'm recording this, the latest version of Drupal is 8. 6, and in a few months Drupal 8. 2. 0 will be out. The second number of those three indicate a minor version, and the third indicates the patch version. And with each successive minor version of Drupal, there might be some changes that affect the content of this video series.